I don't quite know why this has been neglected for SOOO long! I just found it in my drafts so it's time to regale you with some of my Good Beer Week experiences. Good Beer Week this year was bigger and better than ever before! It's only been over for a few weeks but I'm already hanging out for next year! 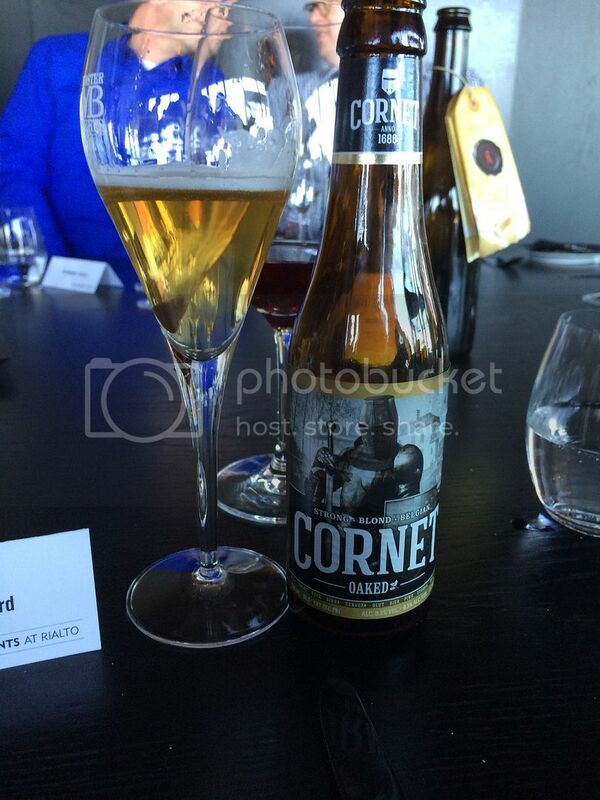 Lizzie and I kicked off Good Beer Week with the Brew vs Cru 2: The Burgundies of Belgium lunch at Vue de Monde. What an incredible event! There is no way I will be missing this when they do this next year! Basically it was a battle between Rodenbach and Kooyong Winery (from the Peninsula) as to whose beverage matched better with the food. Beer just came out on top thankfully, but having Phillipe from Rodenbach talk through Caratere Rouge and Mariage Parfait (and others) was more than worth the price (admittedly quite high) of admission! Despite having quite a boozy lunch at Vue de Monde, I thought it best to head out on a pub crawl that evening. On the way I thought I should stop at Beer Deluxe (great idea!) a schooner of the Little Creatures Return of the Dread went down beautifully as did some Unpasteurised Carlton Draught, which tastes much grainier - but isn't significantly better. More beers were had at the Victorian Pint of Origin venue, The Terminus Hotel before we walked to Brother Burger for the Queensland Pint of Origin. I had two beers and some chicken wings, which were excellent. The Noisy Minor Admiral Ackbar, an Imperial Red Ale, is a beer that I've heard a lot about from Queenslanders on Facebook and absolutely lived up to the hype! I hope we get more stuff from these guys down in Victoria. Some Tassie sours at The Gertrude Hotel; the Tasmania Pint of Origin venue followed - god I love the Cleansing Ale from Two Metre Tall! 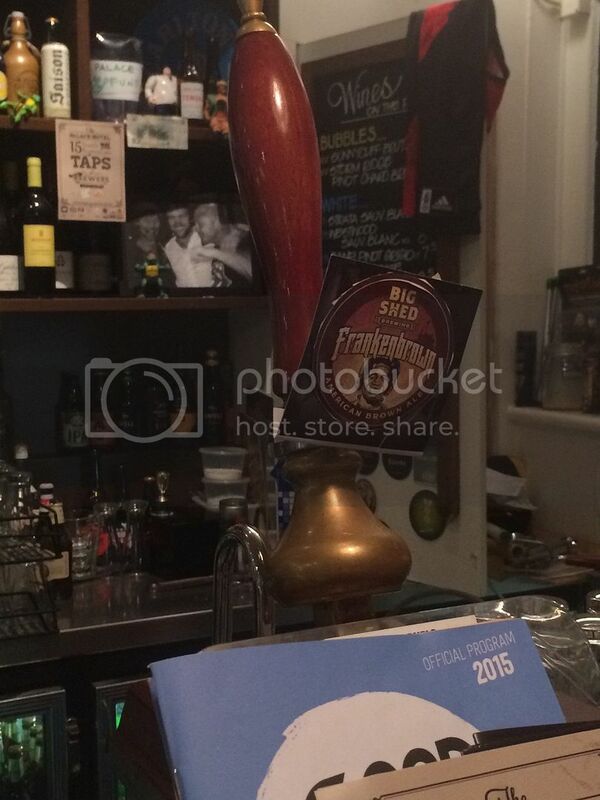 Before we finished off the night at Foresters Beer Hall, the European Pint of Origin venue. 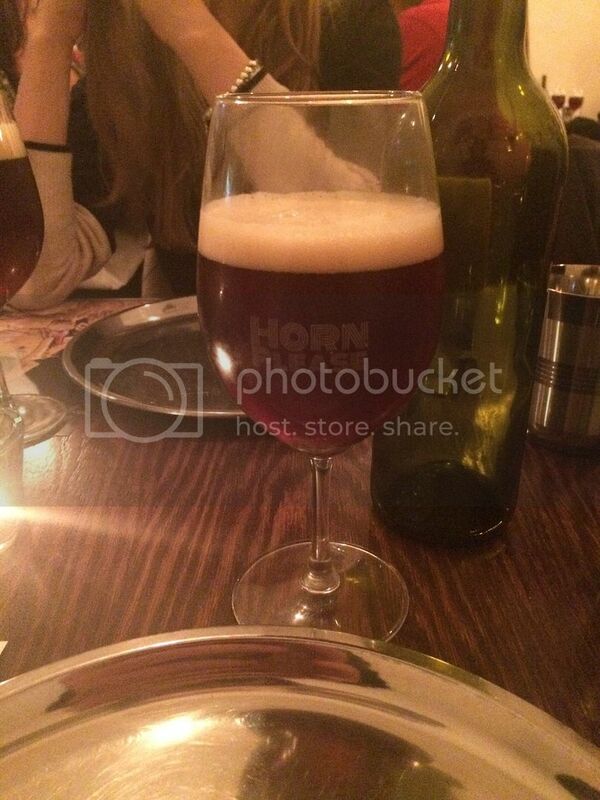 Kiss Me Lipsia from Birrificio Del Ducato was insanely good from my, at this point, somewhat hazy memory. While finishing off with a Magic Rock Rapture, a lovely hoppy amber ale. The next day I felt surprisingly well, considering how much I had consumed. It also happened to be A-League Grand Final day. For pre-drinks we headed off to the Cherry Tree Hotel in Cremorne, a pub I'd never heard of before. It was a great little back street pub and their East vs West concept for Good Beer Week ensured some classics were on! Feral's Watermelon Warhead is a sour I can never turn down and Boatrocker Mitte was a very happy second beer. Straight after the Melbourne Victory saluted, and Frank Lowy fell off the stage, Lizzie and I headed to Horn Please in Fitzroy for the 3rd installment of Feral Please. Basically Feral pair their beers with the sensational curries on offer at Horn Please. Basically they served the hoppys stuff, Hop Hog, Cat IPA (which I'd never had before), Fanta Pants (their Hoppy Amber Ale) etc. It was a really good night and one I'd definitely do again. Monday was another big day and after skipping out of work at 2 we headed to Beer Deluxe for their (Mountain) Goat and Goat Burger lunch special. The Goat burger was nothing particularly special, while the Fancy Pants I had really is a top Amber Ale on tap. It's available in cans at Dan Murphys and is almost as good - so if you haven't had it look into it. We got kicked out of Beer Deluxe for a private function and headed to The Rainbow in Fitzroy for our fifth Pint of Origin venue in 3 days! Three excellent beers followed; Riverside's 44, the new Akasha Freshwater Pale Ale and the Modus Operandi Zoo Feeder IPA (previously a Bear Club beer if memory serves me correctly. A quick tram ride back to the CBD and Cookie was next on the agenda. I met Jeppe, brewer of Evil Twin and also Mikkel's (of Mikkeler fame) brother. I picked up the beers I won in a competition from the rep and bought myself a Molotov Lite. The beer was excellent, the price not so! I've never in my life paid $19.50 for a tap beer, let alone only for a glass (300ml)!!! Molotov Lite is good, but it sure isn't that good! To avoid damaging my wallet further we moved to The Palace Hotel in South Melbourne. It was a little awkward to find, but well worth it for the South Australia Pint of Origin Venue. Beers from Smilimg Samoyed, Pirate Life, Mismatch, Big Shed and Wheaty Brewing Corps (the Wheatsheaf Hotel guys) all followed and were all thoroughly enjoyed until we left at close. 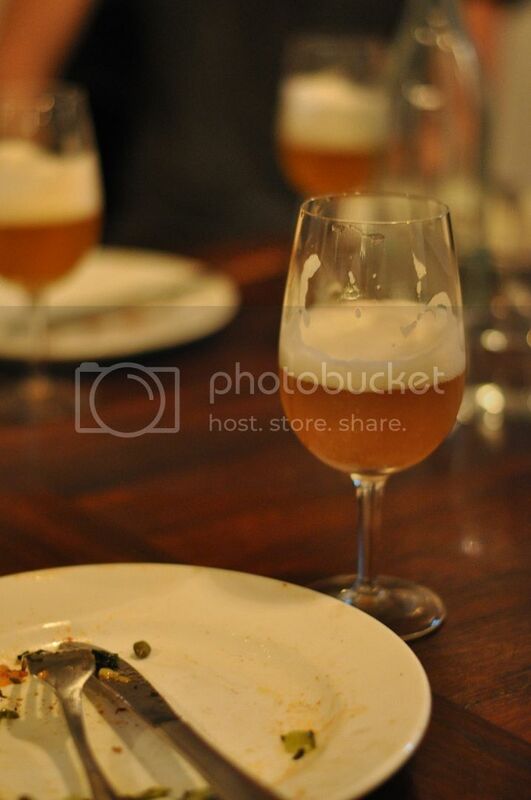 Luxury Biere E Pizza was the one event I was a little hesitant about. I wasn't sure how it would play out, but I really wanted to do a La Sirene event! It was brilliant, the pizza's were excellent but the Saisons from La Sirene stole the show; with 5 of the 6 beers sampled earning 4.5 or above from me on Untappd! These guys really are the kings of farmhouse in Victoria, if not Australia!